In the May issue of Wood News, J. Norman Reid gave us a thorough rundown of the steps needed to get your hand planes to perform at their peak. 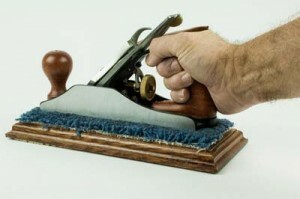 So whether you’ve recently purchased a new plane that you’ve been drooling over for awhile, or you’ve spent some time restoring an older plane back to working condition, this article has the answers you’ll want to achieve those wispy shavings we all aspire to. CLICK HERE to read the rest of the May issue of Wood News. Follow Friday: WinterHawk Happy 35th Birthday Highland Woodworking!